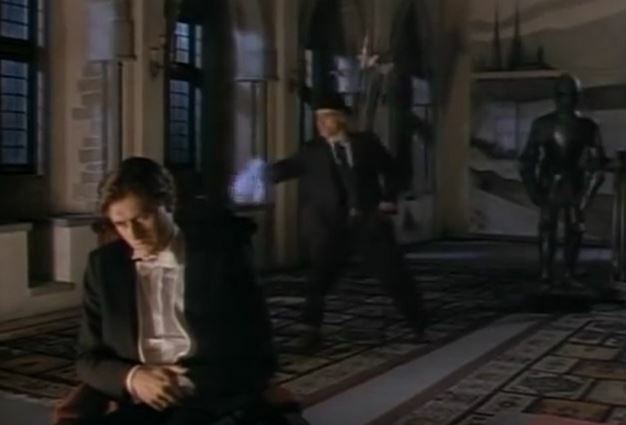 Now that we’ve had half the season to get to know the characters, Dracula the Series episode 14, “Bad Blood” is where the creators really shake things up, complete with the show’s first cliffhanger. Cemetery plot: Lucard (a.k.a. Dracula) is feeling under the weather. He receives a visit from Dr. Varney, a magical vampire doctor. Varney deduces that Lucard drank bad blood, from someone he shouldn’t have bitten. 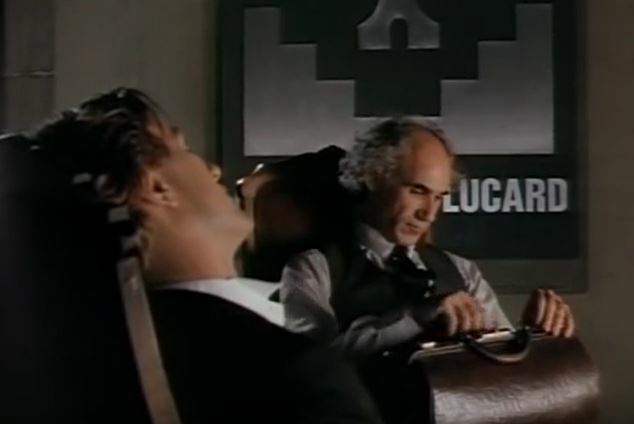 Uncle Gustav and young Max learn Lucard is sick, and decide this is their time to strike. Meanwhile, Sophie had fallen for a hunky-yet-sensitive guy, and Chris is crazed with jealousy. Lucard is healed at the last minute, but then there’s a twist: Sophie’s new beau is a vampire, and she’s been transformed into a vampire as well! To be continued! King of the vampires: While sick, Lucard opines about wanting only the best blood, from the finest people, and how he’s been too long roaming the countryside just biting anyone. Later, it’s revealed that toxins from one of his factories are polluting the local water, and this is what made him sick. He actually doesn’t de-pollute the water at the end, though, content instead with having a small taste of morality. Blood brothers: Chris breaks up Sophie and her new guy. He admits to Sophie that he likes her, as in really likes her. They agree not to be a typical boyfriend and girlfriend, but something more, something different. Why do relationships have to be so complicated? Slayer’s handbook: Little information is given about Dr. Varney. He appears to be some sort of interdimensional being, walking in and out of portals. His healing methods appear to be more psychological rather than general practitioner-y. 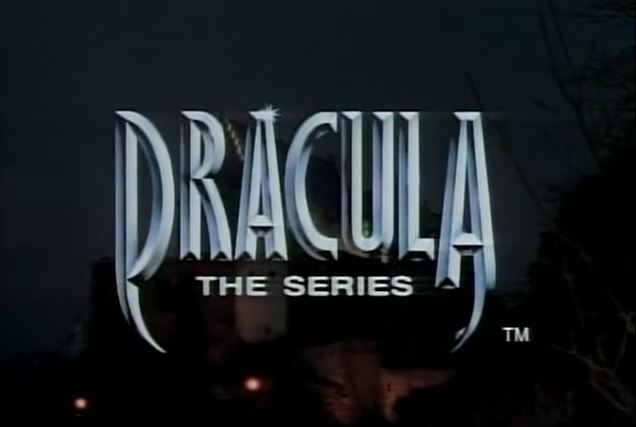 Trivia time: The music for Dracula the Series was provided by music supervisor David Greene and orchestrator Christopher Dedrick. Both have crafted music for a long list of TV shows and movies over the years. Greene’s credits include the Star Wars: Droids Saturday morning cartoon and the animated film Rock and Rule. Dedrick’s notable credits include the oddball film The Saddest Music in the World and the ‘90s revival of Ray Bradbury Theater. Bite me: Although this show is cheesy and campy, this episode is actually good, while still maintaining the cheesiness and campiness it’s known for. It’s fun and lighthearted, but life and death really is on the line, which makes all the difference. Next: When good girls go bad.